For almost 20 years, Matan has been working with educational leaders to help them understand the spectrum of learning and how to plan for their programs. We give educators the tools they need to proactively plan lessons and activities for multiple learning needs so that each student can access and synthesize materials in ways that are appropriate for them. Within Matan’s wide-ranging cornucopia of resources is a popular webinar series led by Rabbi Ruti Regan, our Rabbinic Disability Scholar in Residence. As a leader steeped in the traditions of both rabbinic Judaism and the disability rights movement, Rabbi Regan brings a broad range of expertise to the Jewish inclusive education conversation. 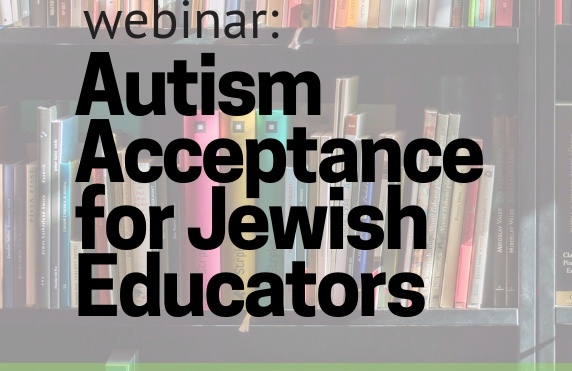 This year’s webinar, “Autism Acceptance for Jewish Educators,” will focus on how to create a culture of autism acceptance in our educational programs. We will discuss both how to take an acceptance attitude personally, and how to plan autism acceptance projects that promote inclusion and respect. While autism receives the most attention in April, we hope that you will join us for the webinar and learn how to create a more inclusive environment all year round. 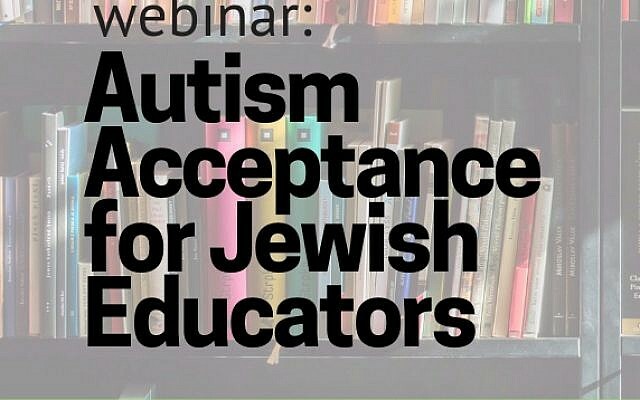 Matan’s “Autism Acceptance for Jewish Educators” webinar will be held on Tuesday, April 16 from 1:00 – 2:00 EST. CART captioning will be available during the live webinar, and the recording will be captioned. To attend the webinar live or receive a link to the recording via email, please register here.